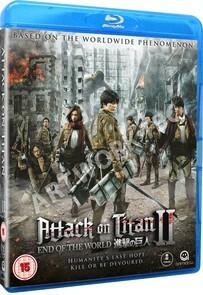 Eren and the others set out on a mission to restore the Wall that had been destroyed by a colossal Titan, but they’re suddenly faced with a quagmire when they’re attacked by a horde of Titans. Shikishima, the Titan-slaying captain of the Scout Regiment, arrives to save the day, but the Titans show no sign of letting up. During the battle, Eren is badly injured, and in the process of saving his friend Armin, he’s swallowed whole by a Titan. Just as all hope seems to be lost, a mysterious Titan with black hair suddenly appears and begins annihilating the other Titans. If this mission fails, it will spell the end of humanity. Why did the Titans appear? Why do people continue to fight? The last counterattack to save human civilization is about to begin.